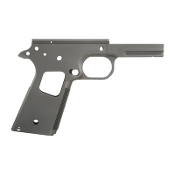 We offer a wide slection of 1911 and 2011 frames for those who enjoy building their own 1911's from the ground up. The type and models and manufactures of the frames we offer are always changing. 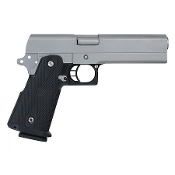 We hunt down the best deals on 1911 frames and pass those savings onto you. So check back often if you don't see what your looking for. 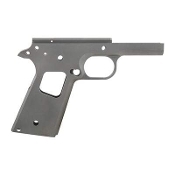 1911 Frames are a Serialized Item Considered To Be A Firearm By BATFE. 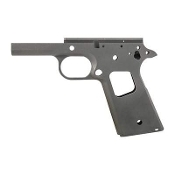 This Item Must Be Shipped To A Federal Firearm License (FFL) Holder. All BATFE, GCA & NFA Rules Apply! 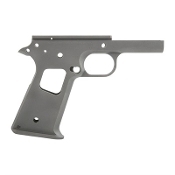 This Item Must Be Shipped To A Federal Firearm License (FFL) Holder. YOU Will Be Responsible For Checking With Your Local FFL To Ensure This Weapon Is Legal In The State That You Reside And That They Will Accept This Weapon On Your Behalf And Transfer It To You. Thunder Mountain Custom, LLC Will NOT Be Responsible For Any Shipping Or Admin Charges Incurred By Packages Not Being Accepted By The FFL You Choose During Checkout.